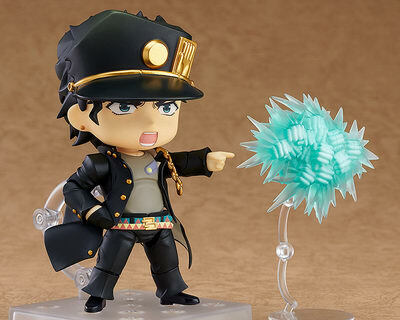 August 23rd, 2018 By: GGT Category: 2019/01 release, Figure News. 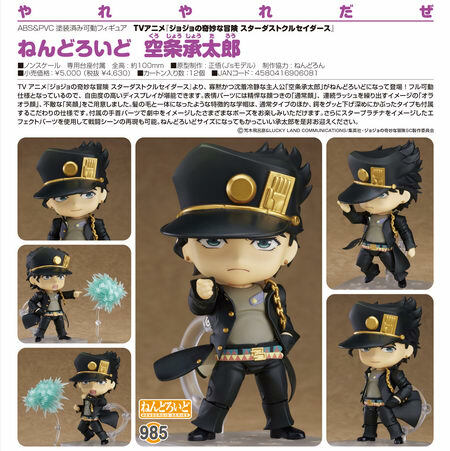 Medico Entertainment is going to release the Nendoroid No.985 Kujo Jotaro ( 空条承太郎 ) action figure from the manga/anime "JoJo’s Bizarre Adventure: Stardust Crusaders" ( ジョジョの奇妙な冒険 スターダストクルセイダース ). Will be released in January 2019. 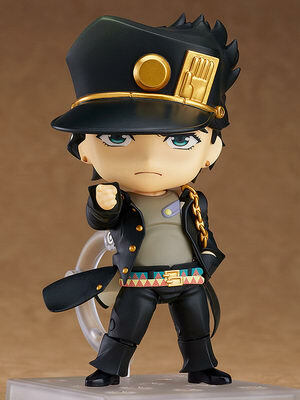 Around 100mm tall, 4,630 yen. 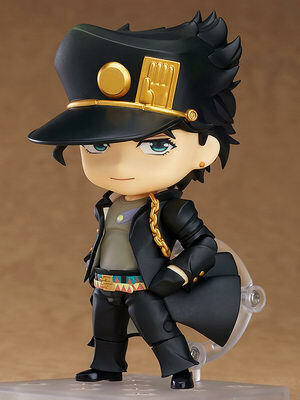 Purchases of Nendoroid Jotaro Kujo from the GOOD SMILE ONLINE SHOP will include a Special Round Stand as a bonus! The bonus will be sent at the time your product is ready to ship. Designs shown here is for illustrative purposes only. The final product may differ. 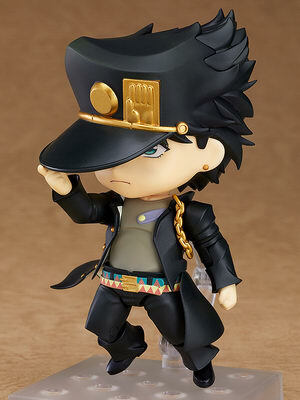 From the anime, "JoJo’s Bizarre Adventure: Stardust Crusaders" comes a Nendoroid of the quiet and calm protagonist, Jotaro Kujo! 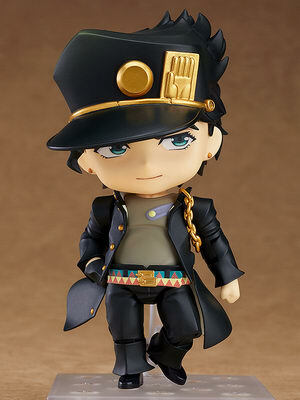 The figure is fully articulated, so you can display him in a wide variety of poses. 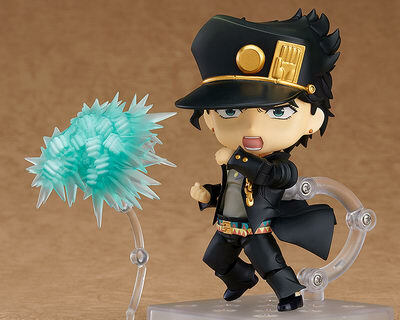 Face plates include his intrepid standard expression, his "Ora Ora" expression, as though he’s unleashing a flurry of attacks, as well as a dauntless smiling expression.